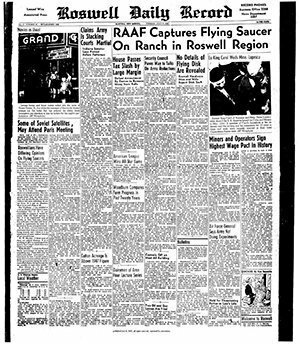 Alien sightings have always been a center of attention, with countless sightings and numerous claimed ’s. Some have been well-publicized whereas others haven’t. Here are three of the most famous. 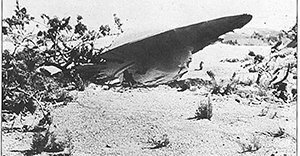 The Encounter: Whereas most sightings are seen as unidentified objects in the sky, this one was where some people claim to have seen an aircraft crash-land. It started out when a rancher, W.W. Brazel found the ruins from a crash. As he went to check on his sheep after a thunderstorm, he saw queer-looking pieces of metal sprinkled over a large area. He reported this to the military, but not before doing a few tests. Reportedly, the material, despite its thinness, would not break, burn, or be dented. It would resume its average shape. It could not be hurt, even with a sledgehammer. It also had weird hieroglyphic-like letters. Afterwards, the military took over the site and did not allow others to enter again. They reported it as a UFO, then as a weather balloon. Why did W.W. Brazel find ruins and pieces of the crash if it was unbreakable? Wouldn’t it be in one piece? If aliens had the ability to build intergalactic spaceships, why would they crash after entering our atmosphere? Shouldn’t they be a little smarter? 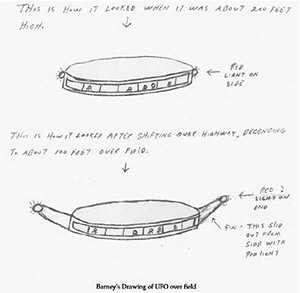 Why would the army mistake a weather balloon as a UFO? A little off, wouldn’t you think? The Encounter: This was the third type of encounter – being caught. 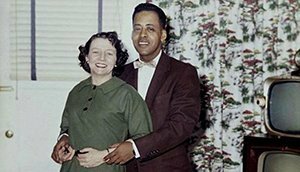 Betty Hill and her husband were driving home when they noticed lights above. They seemed to be following them. Two years later, they were hypnotized and told a story of being abducted by a spaceship. Between those years, Betty described aliens. Later on, when her husband described the aliens, like a show did 12 days ago, she changed her mind. What a coincidence that the aliens fit the show a few days ago! Or was it a coincidence? 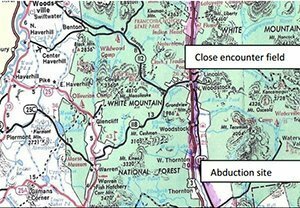 The encounter: A person saw unusual lights that looked like a UFO. That man couldn’t explain it. What set it apart from the others? 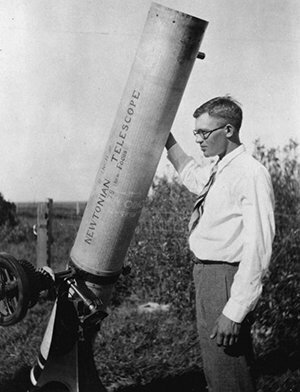 That person just so happened to be Clyde W. Tombaugh, the American astronomer who discovered Pluto. I really don’t know what to say. That’s a reliable source, and no one since has been able to decipher the strange lights. Maybe it’s refracting or reflecting of light, or maybe a natural phenomenon. It’s up to you to decide. Do aliens exist?? ?